Terry McVarish like his father and grandfather before him spent most of his working life underground in the coal mines of Cape Breton. 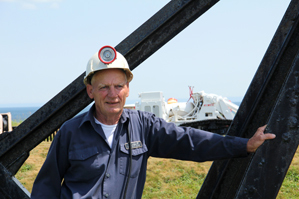 He started his mining career at Lingan Colliery as a labourer. Terry earned his first class mine mechanic papers and went on to work in Phalen, Victoria Junction Wash Plant and Prince Mine. After 26 years he retired from the Devo Railway where he held the position of section man. During his working life Terry was a member of the United Mine Workers of America and held several positions within the union. Terry has worked at the Museum since 1916. 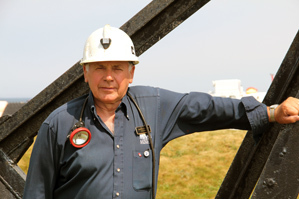 Sheldon Gouthro worked underground for 32 years in four different mines. He started out as a general labourer, then worked his way up as a mine examiner/shot fire, wall supervisor and underground manager. He spent the last seven years of his mining career from 1990 to 1997 as an operations manager. Sheldon was also trained in mine rescue and as an active Draegerman for over 20 years, he participated in many rescues that included sealing off mine fires and liberating miners trapped underground. He has been with the Museum as a Tour Guide for 10 years. 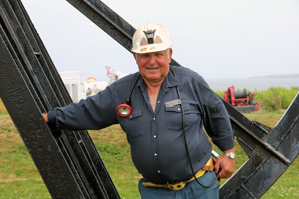 Abbie Michalik continued his family’s long storied tradition of coal mining in Glace Bay with pride by being a 3rd Generation coal miner. His grandfather, father, 6 uncles, 4 cousins & brother all worked in mines from Poland to Cape Breton. Over his 34 year coal mining career with the Dominion Coal Company and DEVCO, Abbie worked at the #4 Mine in Caledonia, #20, #26, Lingan and Phalen Mines. He started as a General Labourer working on the wall face and loading wall before returning back to school for upgrading as a Diesel Mechanic. Abbie completed his coal mining career as a Belt Mechanic and then moved on to the Miners Museum for the past 21 years as a valued member of our Tour Guide team. 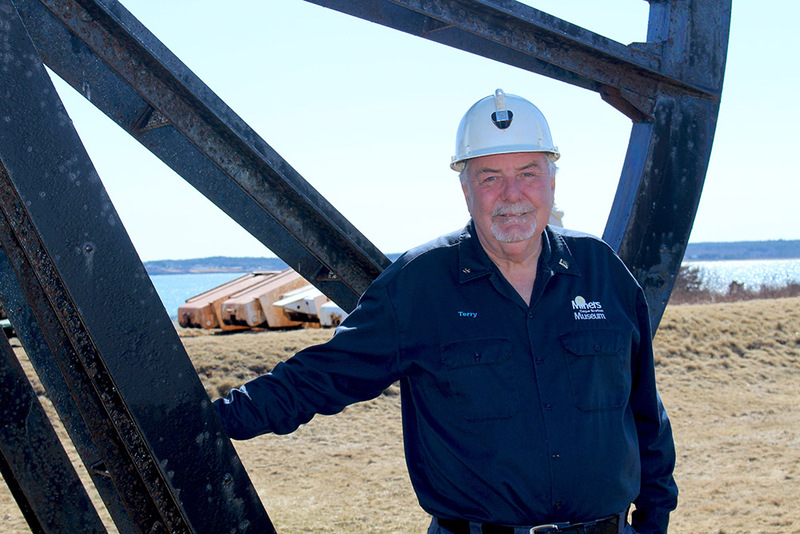 Eric Spencer,like his father before him, was a dedicated Cape Breton Coal Miner. His career lasted for more than 30 years, in four different mines — Broughton, #26, Phalen & Prince. During his time in the mines, Eric worked as a General Mechanic, Medic, Fill-In Supervisor and Coal Truck Driver. Eric relished going to work everyday. He enjoyed the comradery of working with his fellow Miners and endured the pain that comes from losing those same Miners — friends and family — in mining accidents. Eric has worked as a Tour Guide at the Cape Breton Miners Museum for 9 years where his pride in the work and the culture is readily apparent. Wish Donovan worked as a coal miner for 32 years after a six year stint in the Canadian Army. He started in # 20 Colliery in Glace Bay as a general labourer. He then went on to work in four more collieries including # 26, Prince, Donkin and Phalen Mines. 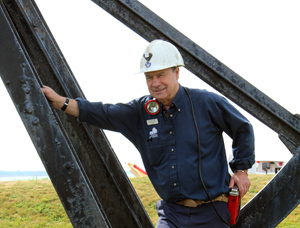 During his career he became a supervisor working on the Longwall and Development System. Wish also worked in mine rescue for 20 years. As a Draegerman , he entered mines after explosions to fight fires and rescue miners. On many of these occasions he was Acting Underground Manager. Wish has been a Tour Guide at the Museum for 13 years.